Hello! Please save the date! 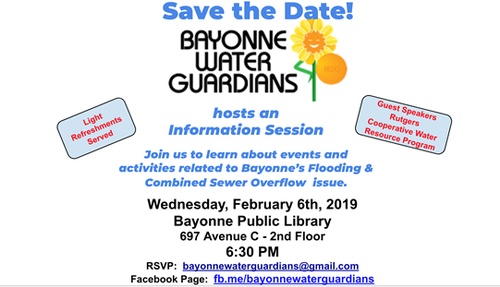 You are cordially invited to attend a special event run by the Bayonne Water Guardians. We are hoping to get as many people from across our city to join us for some wonderful guest speakers and light refreshments. Bring friends, and feel free to spread the word. It's going to be a fun night!